Yen Press | Tsundere Britannica - UK Anime/Game News and Features! 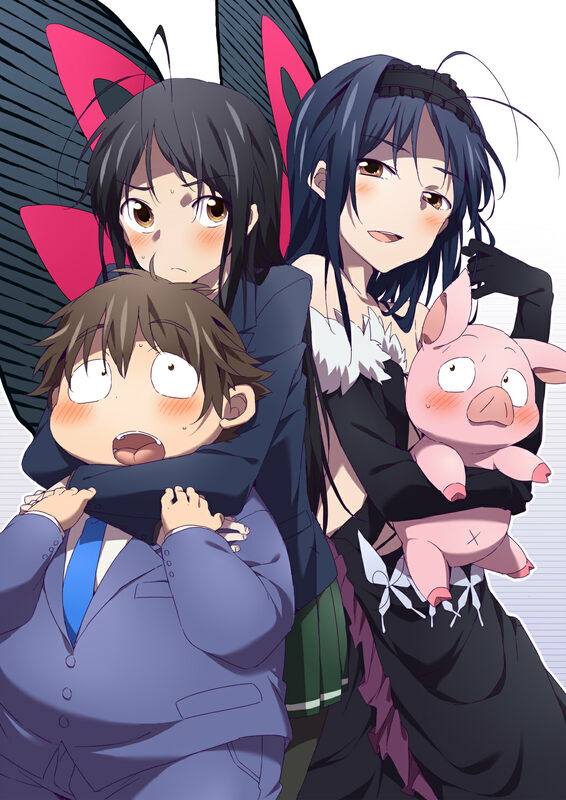 MVM kicks off 2014 with Accel World and other licenses! It’s 2014! The previous year is now behind us and it’s time to look ahead to the future – and that’s what MVM Entertainment are doing, by kicking off the New Year with three new license announcements of anime goodness fans in the UK can expect this year. Neither rich, popular nor particularly attractive, Harayuki spends his time building his ideal self here. He dominates this space until it is cruelly taken away from him from his high school bullies. However salvation is at hand when Kuroyukihime, the school’s most popular girl, offers him another chance to escape and become the person he’s always wanted to be. Except this offer has a catch and it deals with his life. Delving into the virtual reality known as Accel World, Haru will need to learn quickly how to fight if he wishes to uncover the secrets of this world and become Kuroyukihime’s knight. Yen Press also recently revealed that they will begin releasing the original light novels in English later this year too! Timid Takashi wants to escape to an alternate world where he is a heralded knight, but is held back by thoughts of his younger sister and his girlfriend. Part-timer and all around upbeat guy Shuusuke has a disastrous first encounter with a woman who turns out to be his new co-worker. Handyman Hayato is a hard-boiled loner that has random encounters with two gangs and a girl with a uniform fetish. Throw in plenty of fan-service, random humour, an alternate medieval world, and your narrator DJ Condor, and you get “We Without Wings – Under the Innocent Sky”. After the world has fallen into a state of disrepair, humanity has retreated to huge mobile cities named Regios. With the Earth now populated by contanimated life-forms, humanity must defend itself by using weapons called DITE. One young man trying to forget his past arrives in the Regios named Zuellini, but soon catches the attention of those who would use his considerable skills for their own ends. So, will you be picking up any of these new licenses? 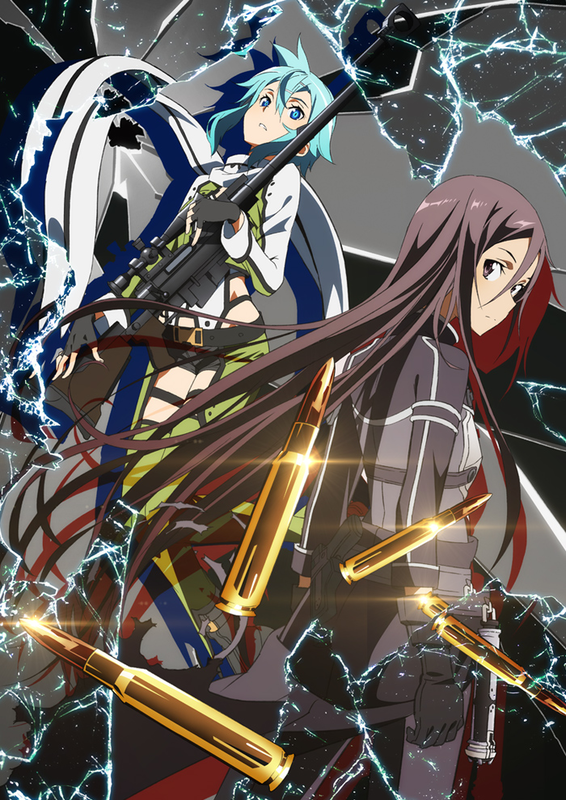 Sword Art Online II to air in 2014! A-1 Pictures’ anime adaptation of Reki Kawahara’s Sword Art Online light novel series was easily one of the most successful anime of 2012, spawning a fandom that spreads across the entire globe (courtesy of a simulcast by Crunchyroll) as well as numerous manga series’ and even a couple of video games in its native Japan – in fact, Yen Press have even announced that starting in April, they will start to release the series’ original light novels, something which is extremely rare in the western anime/manga industry. The story of players of virtual reality games being trapped in the game, with the threat of death in the game world equalling real death is not a new concept, but the series gained praise for its writing, with critics pointing out its insight on the psychological and sociological aspects of a mass multiplayer online game. It wasn’t very surprising then, that at the end of the highly anticipated Sword Art Online: Extra Edition special that was simulcast globally today, that an announcement was made for Sword Art Online II, which would begin broadcasting in 2014. The official announcement teaser can be seen on the official website. The original TV anime was released on DVD in North America by AniplexUSA and is currently being released in the United Kingdom by Manga Entertainment UK. After the frankly, amazing The Disappearance of Haruhi Suzumiya anime movie, many had considered the once-phenomenal success of the Haruhi Suzumiya anime franchise to be over, considering the largely negative reaction to the “Endless Eight” story arc of the second season of The Melancholy of Haruhi Suzumiya. Unfortunately, a continuing adaptation of Nagaru Tanigawa’s light novel series hasn’t been announced, but it seems that the Haruhi Suzumiya franchise hasn’t faded entirely from view. 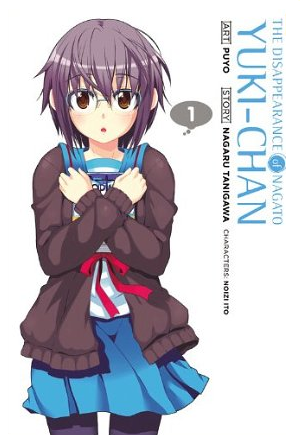 The Disappearance of Nagato Yuki-chan is a spin-off manga by Puyo that is set in the alternate universe explored in The Disappearance of Haruhi Suzumiya. It is published in English by Yen Press. Other than that an anime is indeed happening, not much else is known (although I would be very surprised if Kyoto Animation wasn’t the studio animating it). Hopefully it won’t be much longer until we know more! Studio BONES’ anime adaptation of Atsushi Ohkubo’s Soul Eater manga may have ended in 2009 (yes, it really was that long ago) but it is clear that there is still a lot of love for the franchise – the original manga finally came to a close this August and a spin-off manga, Soul Eater NOT has been published since February 2011. 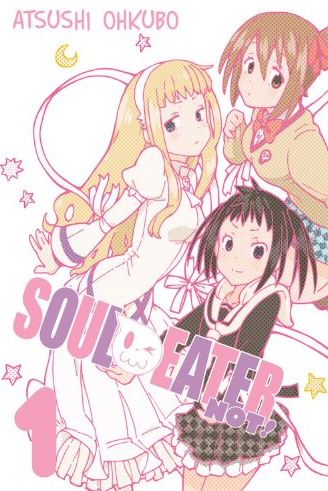 Unlike the main series which focuses on the DWMA’s EAT classes and the protagonist duo Maka Albarn and Soul Eater Evans, Soul Eater NOT!‘s focus is on Tsugumi Harudori, a student of the NOT (Normally Overcome Target) classes, which have a focus on teaching students to control their powers so that they may lead a normal life. Set before the events of the main series, while NOT! still explores some of the mysteries of Death City, it is notably lighter in tone, with an apt description being “Soul Eater meets K-ON!“. 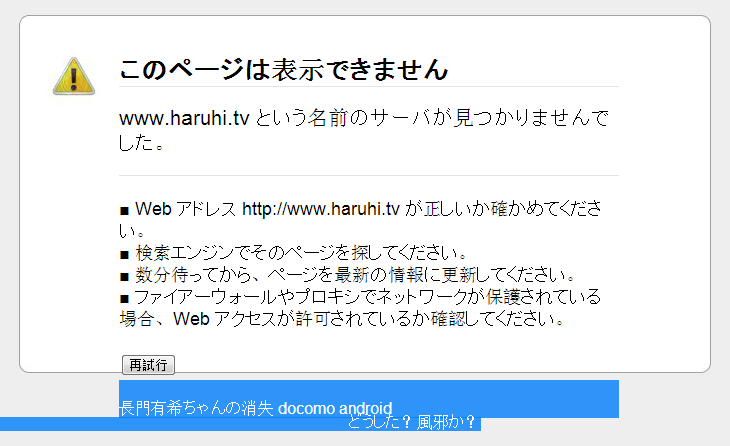 A few days ago, Square Enix’s Monthly Shonen Gangan magazine, which serialised the Soul Eater manga and currently serialises Soul Eater NOT!, revealed that an announcement relating to Soul Eater NOT would be coming in their January issue (due out on 12th December) and a domain registration for “souleaternot.tv” was discovered. Today however, Maka Albarn’s voice actress Chiaki Omigawa lifted the lid on her radio program that an anime adaptation has been green-light, but didn’t reveal any more details. With only 2 volumes of the manga published so far, it will be interesting to see how this adaptation turns out. It could have an original ending like the original Soul Eater anime, or it could be a single “cour” (12-13 episodes long). Audino, we’ll just have to Sewaddle happen! The original Soul Eater manga is currently available from Yen Press, while the anime was released in the United States by FUNimation Entertainment and the UK by Manga Entertainment UK.